Google's new social network and challenger to Facebook's crown contributed to three of the Top 10 search terms with the biggest increase in growth over the last seven days. There was also a big buzz surrounding the latest instalment in the Transformers franchise, with related search terms appearing twice in the Top 10 results. 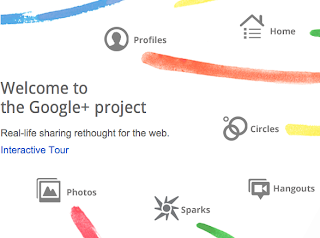 Google+ is the new social network from the Internet giant. It was unveiled on June 28 and is currently being rolled out to Gmail users around the world. Essentially Google+ is a social networking site, allowing users to share photos, news and thoughts with others. The launch represents a direct challenge to the current ruler of the social networking realm, Facebook, which is reportedly planning to team up with Skype in order to provide integrated video chat to users of the site. Facebook is expected to announce this partnership this week. However, despite rumours of the Facebook/Skype partnership, the launch of Google+ clearly generated the most online buzz over the seven days prior to July 4. According to Google Insights, searches for the social networking site achieved "breakout" status, or growth of over 5,000%, and variations of Google+ appeared three times in the Top 10 search terms over the last seven days.